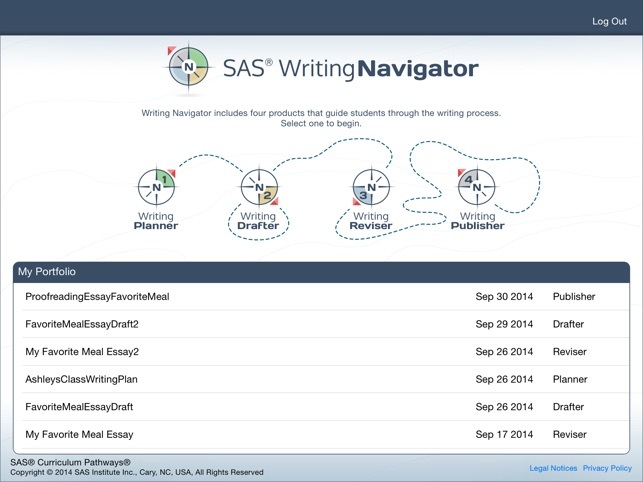 Writing Navigator is a suite of tools that uses artificial intelligence (AI) to provide guidance and support throughout the writing process: planning, drafting, revising, and publishing. 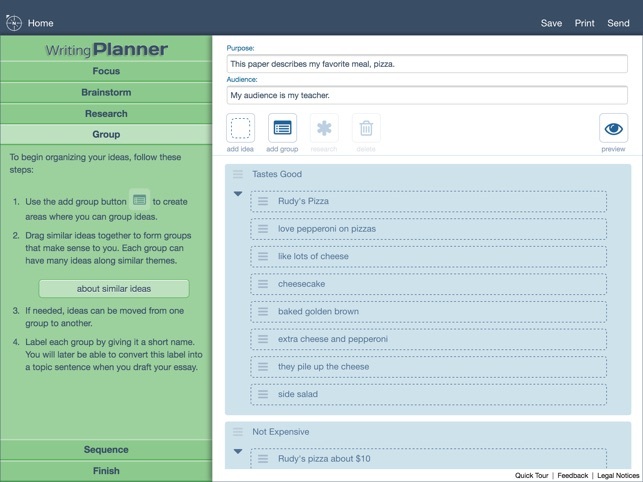 • Writing Planner: Students determine their purpose and audience. They generate ideas and organize a plan, gather research information, group and sequence their ideas, and review their writing plans. 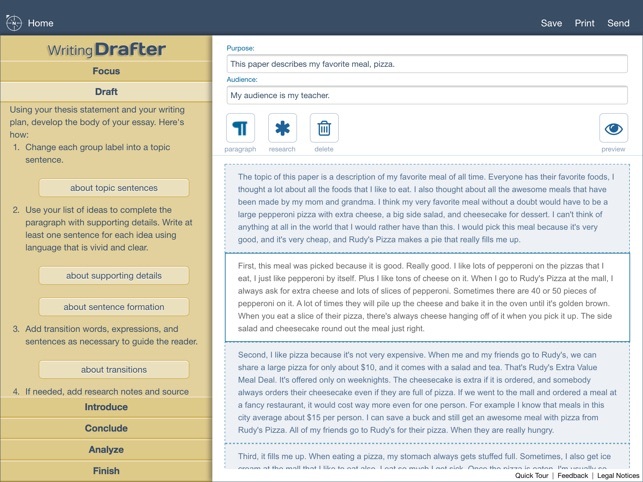 • Writing Drafter: Students transform their plans into first drafts. 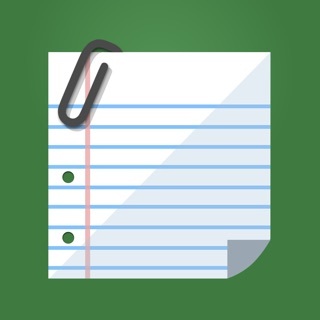 They develop sentences, supporting details, and transitions; create introductory and concluding paragraphs; gather research information; and analyze their writing to improve sentence patterns and transitions. 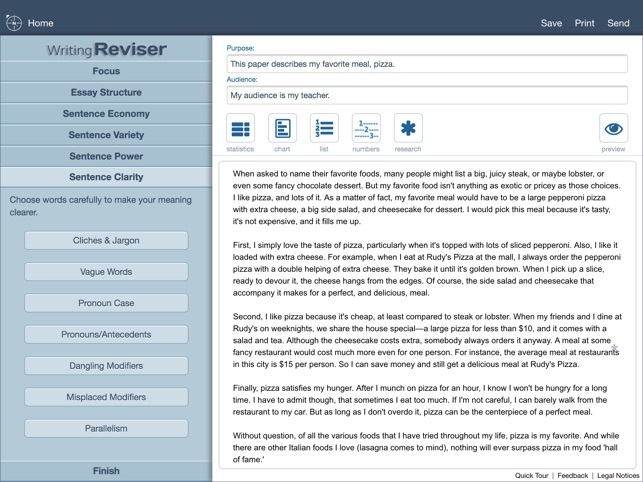 • Writing Reviser: Students refine their draft and gather research information. They focus on organization, sentence structure, and diction. By learning to ask questions experienced writers ask automatically, students begin to express themselves with greater precision and power. • Writing Publisher: Students complete their research and finish their essay. They use tools for proofreading. For research papers, they document sources using an innovative feature that generates internal citations and a Works Cited page. Please visit curriculumpathways.com/writingnavigator to view alignments to your state standards. 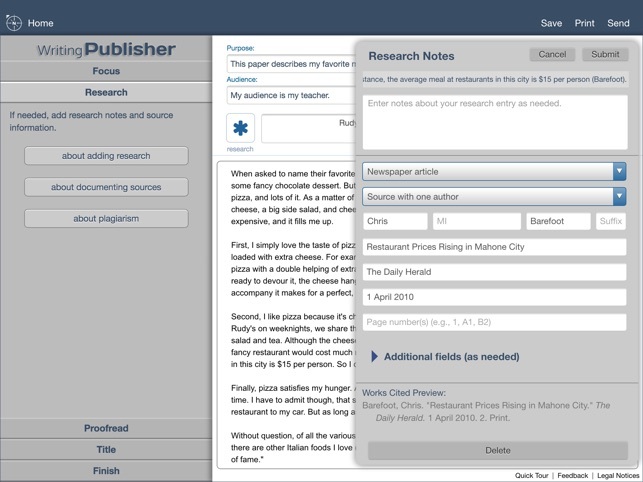 Your feedback will help shape the next release of Writing Navigator. 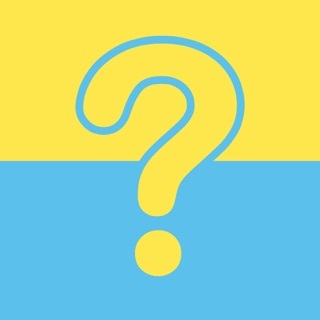 Please send questions or comments to curriculumpathways@sas.com. Used by millions of teachers and students in all 50 states and more than 100 countries, Curriculum Pathways is provided at no cost by SAS. 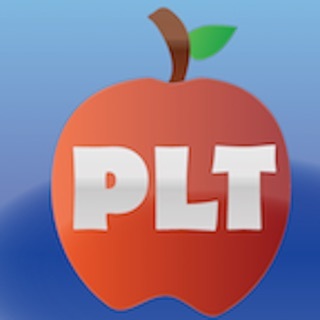 Curriculum Pathways provides interactive, standards-based resources, tools, and apps in English language arts, mathematics, science, social studies and Spanish for K-12. To learn more about Writing Navigator and Curriculum Pathways please visit writingnavigator.com. 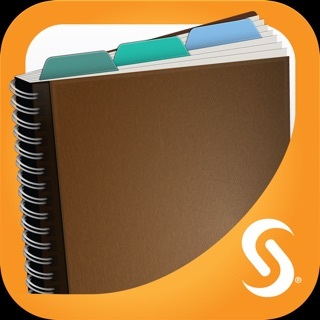 Your use of this Application indicates your acceptance of the terms of the SAS Institute Inc. License Agreement for SAS® Writing Navigator, linked above. If you do not agree with these terms, you are not authorized to use the Application. © Copyright 2018 SAS Institute Inc., Cary, NC, USA. All rights reserved.